This is an exciting subset of UNC Emergency Medicine (EM) focused on emergency care capacity-building through clinical care, research, and educational program implementation. Interested residents and medical students can elect to do established international clinical rotations, under the supervision of the Division of Global Health and Emergency Care. The purpose of these rotations is to prepare leaners for volunteering in low income tropical nations and caring for patients in resource constrained and/or austere environments. Our residents and students have completed Global Health-focused clinical experiences in Africa, South and Central America and Southeast Asia. Clinical Rotations can be found at by clicking here. Emergency Medicine residents interested in a career in Global Emergency Medicine can participate in the Global Emergency Medicine academic concentration. This very exciting academic concentration involves interested residents in national groups focusing on Global Emergency Medicine (e.g., SAEM’s Global emergency Medicine Academy (GEMA), EMRA’s international committee as well as ACEP’s International Section, etc). Residents participating in this concentration complete research and educational projects in resource-limited settings. They will also help to coordinate the Global Emergency Medicine/Infectious Diseases educational module and assist with leading the didactic sessions. 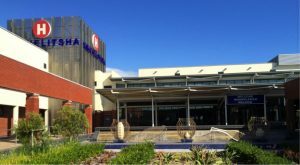 It is our ultimate goal that residents on this pathway successfully matriculate at the Global/International Emergency Medicine Fellowship Program of their choice. The Global Health and Leadership Program is a 24-month fellowship, designed to prepare EM trained physicians for careers involving Global Health and/or Academic Emergency Medicine. 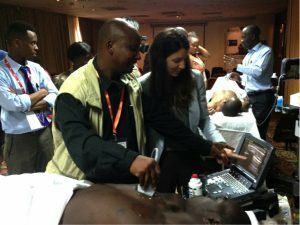 Former and current fellows have gained this expertise in a variety of avenues: through studying at the London School of Hygiene and Tropical medicine, completing an MPH at the Gillings School of Global Public Health, conducting research and educational projects in a public tertiary hospital in Nairobi Kenya, and working clinically in a district hospital setting in Cape Town, South Africa. For more information, click here. 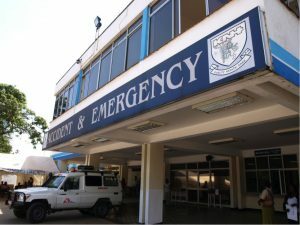 UNC Global Emergency Medicine is particularly committed to the development of Emergency Medicine as a specialty in East Africa. 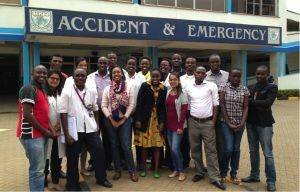 The UNC Division of Global Health and Emergency Care is conducting important epidemiology, emergency department triage, and youth violence-related research in both Kenya and South Africa. 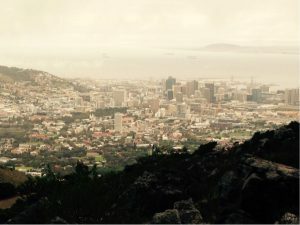 Novel data from this research is helping to shape future research, policy, and educational initiatives in the East and Southern African region as it pertains to emergency care capacity-building. 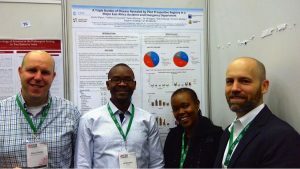 Our recent work was presented at the International Conference of Emergency Medicine in Cape Town, South Africa. Volunteers from UNC Emergency Medicine (including faculty, residents, students and nurses) have traveled to East Africa to provide care to a variety of patients in great need. We have partnered with local student organizations to secure many of the supplies, such as gloves, syringes, and bandages used to care for our patients. Additionally, other EM faculty members at UNC, like Dr. Wesley Wallace, organize similar efforts in other parts of the World, like South America. Our Chair Emerita, Dr. Judith Tintinalli, continues to arrange cross-cultural “observational” experiences for foreign physicians. She has, for example, facilitated invaluable “observational” rotations in our ED for physicians from Japan, South Korea, and Jordan. Dr. Tintinalli continues to use her fame and notoriety to help get Emergency Medicine recognized as a specialty around the world.